The Ministry of Energy has assured the intermittent power cuts being experienced in the country will be over in the next 10 days. Addressing the press in Accra on the intermittent power cuts, Dr. Ben K. D Asante, Chief Executive Officer (CEO) of Ghana Gas, which is under the Energy Ministry, said the power outages were as a result of a planned total shut down of the gas supply to the Atuabo Plant. He said the total shutdown, which began last Saturday, would last for the next 10 days to allow for the interconnection of the Ghana Gas pipeline from Takoradi to Tema through the West African Gas Company (WAPCO) which operates the pipelines. Some of the measures, according to the Ghana Gas CEO, are expected to stop the persistent shortage of gas from neighbouring Nigeria by improving the source of gas supply to power plants in the country. The ministry, therefore, debunked assertions that the country was being plunged into 'dumsor'. Explaining further, Dr. Asante said the interconnection of the gas pipelines requires a total shutdown to be undertaken at a particular period which resulted in the power outages in some parts of the country. 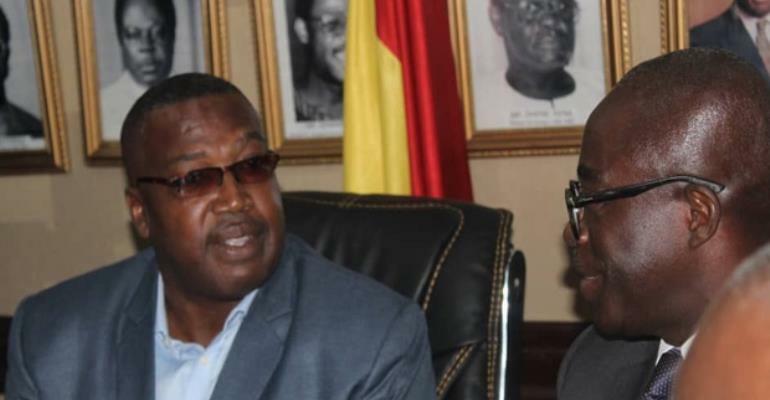 “We want to be able to take the surplus gas from the West –Takoradi where we generate more than our operational capacity through the inter connectivity using WAPCO system to the East -Tema where gas supply is 'anaemic,” he said. He indicated that the gas interconnection exercise would cost Ghana $400,000 per day, if not undertaken during the period. Deputy Minister in charge of Power William Owuraku Aidoo said the Ministry did not anticipate that the exercise which began about three weeks ago, would affect the public since it took all the necessary measures to minimize the effect of the exercise on the public. “Our hope as a ministry was to reduce to the barest minimum interruption of supply of energy to Ghanaians. We were hoping that you will not know this work was going on,” he added. He emphasized that the government made provision for the supply of fuel to power the plants during the exercise, adding that Ghanaians will be the beneficiaries of a reliable and sustainable power supply system after the completion of the exercise. “When it's completed we will have 330,000,000 scalps coming from both the old fields because with that interconnection we can do a reverse transport of the gas which is exciting news,” he added.